Ok, packaged and especially processed foods are not my favorite thing in the world. But, we have busy lives and sometimes between 4-hour airplane trips and Uber rides, we need a little somethin' somethin.' And, sometimes... we just need a cookie. Or two. Quite possibly my favorite thing to snack on - whether I am traveling or I am at home. Alive & Radiant has nailed the whole kale chip thing. They are dehydrated (not baked or fried) as to not damage the integrity of the nutrients and enzymes of the raw ingredients. The are pricey, so I try to not get these often but oh my.... sometimes I cannot resist. Pull these out with some coconut water on the plane, plug my headphones in, start a movie and I'm in foodie heaven. Or, perfect post hike. I cannot even begin to describe to you how amazing the Chocolate Kale Chips are - don't knock it till' ya' try it. I'm telling you, these will change your snack life. I find mine at Whole Foods but I've seen then in other health food stores as well. Superfood at its finest. 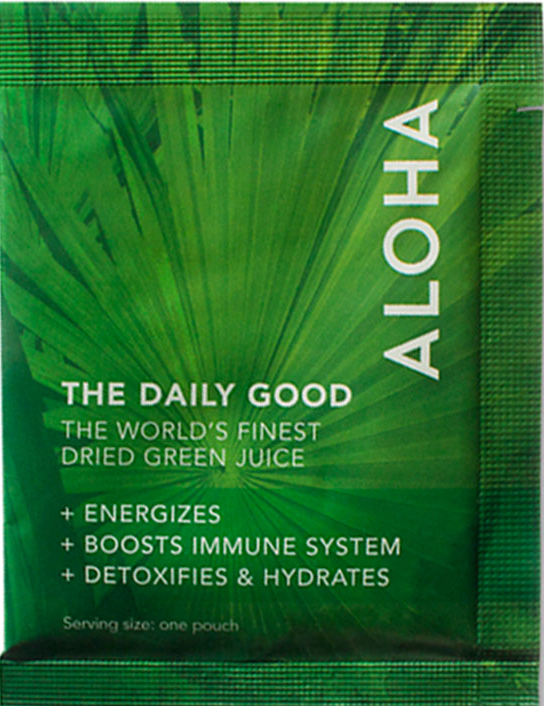 The best powdered greens that I have ever tried. I came across these little packets of life sometime last year. They are packed with essential nutrients that our bodies can easily assimilate and give a lasting boost of energy. I keep these in my wallet and carry-on when I travel - perfect for an energizing morning beverage or anytime throughout the day. These are all natural, vegan, non-GMO and gluten/soy-free. Oh my... these cookies are simply amazing. While I typically like to stay under 7 ingredients in any packaged item...for these, I will make an exception. And have. Several times. Phenomenal. 100% Vegan. Gluten, dairy, soy and egg free. Note, that they do have two different lines and one that is dedicated gluten-free. They are heavy in carbohydrates so use moderation and save for a treat! I love the Lemon Dream and Chocolate Explosion. Coconut butter is another under-valued gift from nature. It is whipped coconut meat. Simple. But it tastes like it must be something much more. Literally melts in your mouth. Like the oil, Artisana is the best coconut butter brand that I have found. Cooking and baking with coconut oil has become a regular thing in my home. It provides such a sensual flavor- it's really quite hard to describe. And although, I love coconut, it doesn't have an overwhelming coconut flavor. 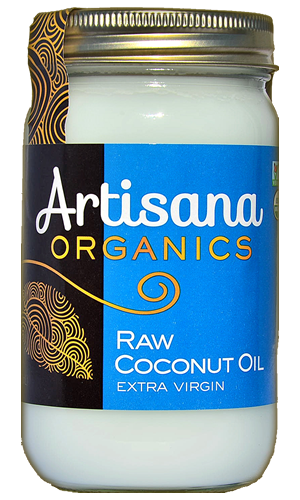 Artisana's coconut oil is by far the best brand that I have tried. Love it. Have on some carrot sticks (hopefully sliced at home and not the chlorine ladened baby carrots...), apples, dates or by themselves these nut butters are super easy to pack and can really be a lifesaver when you need a protein boost. 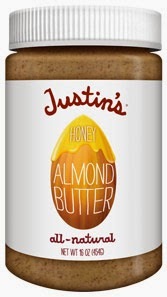 You can read my full review on Artisana Nut Butters here. For those that can tolerate oats, these oats are certified gluten-free and are excellent for baking gluten-free cookies, breads, muffins etc. and can be used for an oat cereal and raw cookies/bars as well. They are the most economically priced oats that I have found that are certified gluten-free and true to taste. I've slowly began to reduce the amount of nuts that I eat and introduce more seeds - in doing so, I came upon Go Raw. 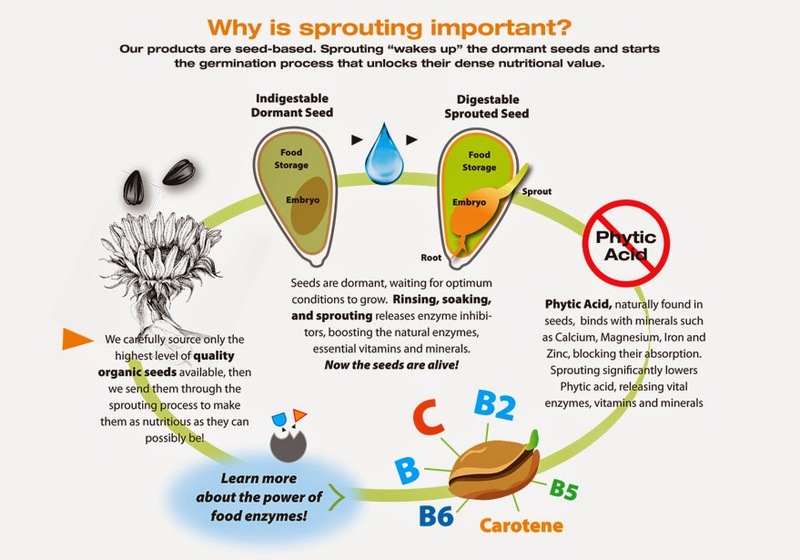 It is through Go Raw that I started to learn about the benefits of sprouting. Now, I try to only eat nuts and seeds that have been sprouted. Guess what? No more gut aches or bloating from eating nuts or seeds. These are an investment for me so I generally buy a bag of sprouted seeds about once a month. I'm in love with the Spicy Seed Mix. OMG - YUM! It goes with just about everything. Coconut flakes and raisins for trail mix or overtop a salad or by themselves. So good. For a splurge, I'll have with the Lime N' Coconut Crips (at $5.49 for a small bag, I can't justify getting all the time). These chocolate chips are perfect for baking and they are dairy, soy and nut free. I bake with them all of the time and no 'dairy eater' has ever made a comment on them not tasting like chocolate chips- in fact they can't tell at all. Love them! Being gluten, dairy, soy-free is one thing, add yeast-free into the mix along with avoiding corn, you have a difficult time finding bread. Especially bread that is not filled with all sort of nonsensical sugary ingredients. Food For Life's Yeast Free Brown Rice Bread ingredients are quite simple and vegan. 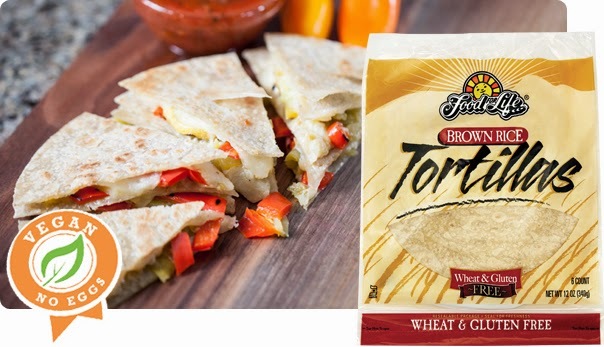 I also love their Brown Rice Flour Tortillas that are also yeast-free (heat up in a skitllet and then spread some organic sunbutter on them...). Delicious. These little bite-size cookies are the perfect snack. 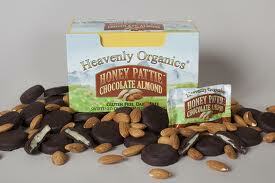 Made from all natural and allergy-friendly ingredients (like almond flour, coconut flour and coconut nectar). They are little bits of heaven ;) Mint Chip is my favorite at the moment. These bars go with me just about everywhere I go. 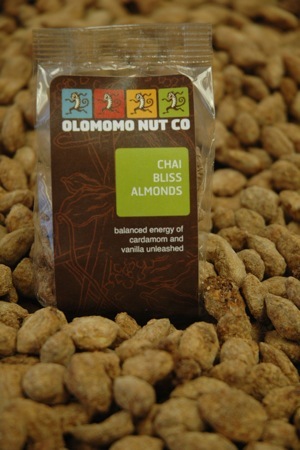 They are great between meals and are very easy to digest - made with seeds (vs nuts). Packed full of superfood seeds, fruit and herbs. I'm obsessed with the Lemon Chia and Cherry Pumkin Seed. I'm always amazed when I learn someone doesn't know what a Larabar is. I talk about them as if they were like air. Or water. So, when I come across someone that hasn't hear of them I literally stop in my tracks. Wha? Why? How? Anyway ;) These bars have been a staple for me for years. Gluten and dairy free and delicious! Cooking and baking is a form of art and takes not only great practice and patience but great products as well. The Let's Do Organic (Unsweetened Reduced Fat) Coconut Flakes are hands down my favorite coconut flakes to use for baking and especially for raw goods like bars and macaroons. They are also very affordable. Sometimes a gal' (or guy...) just needs a bowl of cereal. This is my favorite brand of cereal because it's well, simple. No added nonsense. It consists of organic whole grain sprouted brown rice, organic low glycemic coconut palm sugar, non-GMO tocopherol from sunflower for freshness and unrefined salt. I usually add banana, blueberries and chia seeds with 365® Almond Milk. Yum. Oskri carries various snack items but I LOVE their Sesame Bars, there are a few different flavors. Minimal ingredients, perfect to hold you over in between meals and vegan. I've been saying it all week, "Suja Juice rocks my world!" Yes. This juice is quite awesome. And it's not the juice juice you may be thinking of, it's ACTUAL juice. Cold pressed, high quality juice without all the of the junk in it. Pure and simple ingredients that taste AMAZING. OMG I can't even tout it enough. Must try. So far, Green Supreme is my favorite. Some use these as a cleanse. I've been adding them to my daily food regime (usually 8oz with a small snack). I find it at my local Whole Foods but it is also sold online. There are some things in life that make me smile and do a little happy dance. Dark chocolate is one of them. Being dairy and soy free it is been a challenge to find a chocolate bar that I can eat safely. Thankfully, we have Theo ;) (Note, not all of their chocolate is dairy/gluten free but their facility is 100% soy free!). I'm a huge fan of the Fig, Fennel & Almond, Toasted Coconut and Mint. I really don't think I'll ever tire of sweet potatoes.What an incredible gift from nature. These chips are awesome because there are only two ingredients: sweet potatoes and oil (either safflower, or sunflower). Awesome. I came across these the other day at Vitamin Cottage. Another gluten and soy-free bar but have some unique flavors that are super awesome like Hazel Date and Pistachio Apple. Yum. Seriously.. I LOVE Vega. I've been drinking Vega One as shake in the morning for a few months now and I have to tell you - it really has been one of those things that has changed my life. I love brekkie time, but I was beginning to be in a bit of a funk when it came to what to eat because what I was eating was not making me feel well. It wasn't giving me energy. I switched to an all fruit brekkie which made me feel amazing, but it wasn't sustaining me. I needed something more. I found Vega One and never looked back unless of course, I have my new favorite signature dish, The WAKE Bowl. Or... perhaps combine the two (AMAZINGNESS). SaviSeeds are the richest plant-based source of omega-3 ON THE PLANET. True story. Vega sells these in little to-go packets so they are awesome for travel and emergency energy sources. These amazing sacha inchi seeds on their own boast 17 times more Omega-3 per ounce than wild Sockeye salmon..." Need I say more? My tummy is not one to handle candle very well and I don't really crave candy anymore but these little candies are all natural and easy on my body. Their flavors are awesome (I love the pomegranate and cherry) and perfect for road trips. Mmm... yes. Chocolate candies. Filled with heavenly awesomeness. The honey almond is to-die-for. One little patty is enough for a quick sweet-tooth fix. AND they are gluten, dairy and soy free. I will continue to update this page as I come across new products. What are some of the products that you adore? Feel free to leave a comment, I'd love to hear about them!